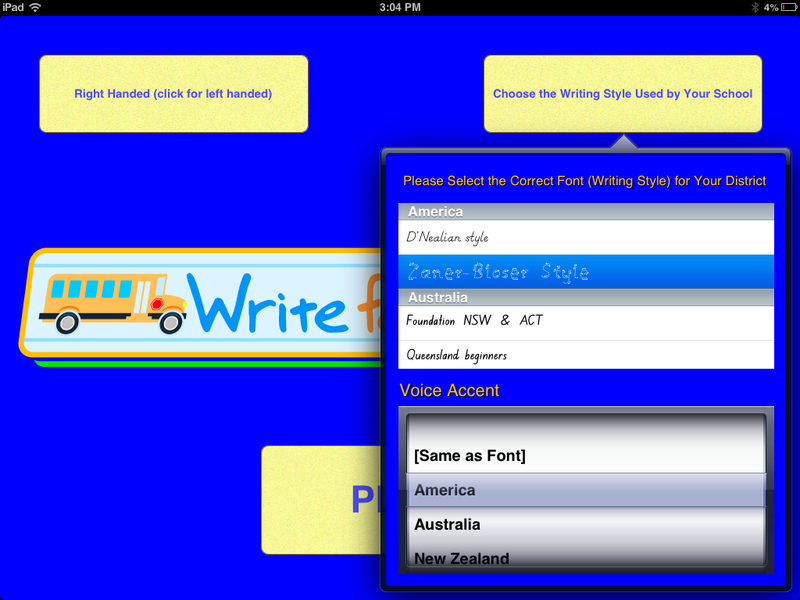 A few weeks ago I wrote a post about WriteForSchool app, a handwriting instruction app gone free. This unknowingly was a 24 hour sale which I found and probably posted at the 23rd hour. I received many emails stating it was no longer free (often how long an app is free is often unknown …). My apologizes for posting it at the nth hour creating any frustration over the free availability of the app. The Write For School.com , following contact with them, generously provided free codes to provide to OT’s with Apps readers. Here are the free codes supplied by the folks over at Write For School.com. Please be thoughtful if you are one of those who redeemed a free code to post a comment stating redeemed so other users can tell if codes have been consumed! 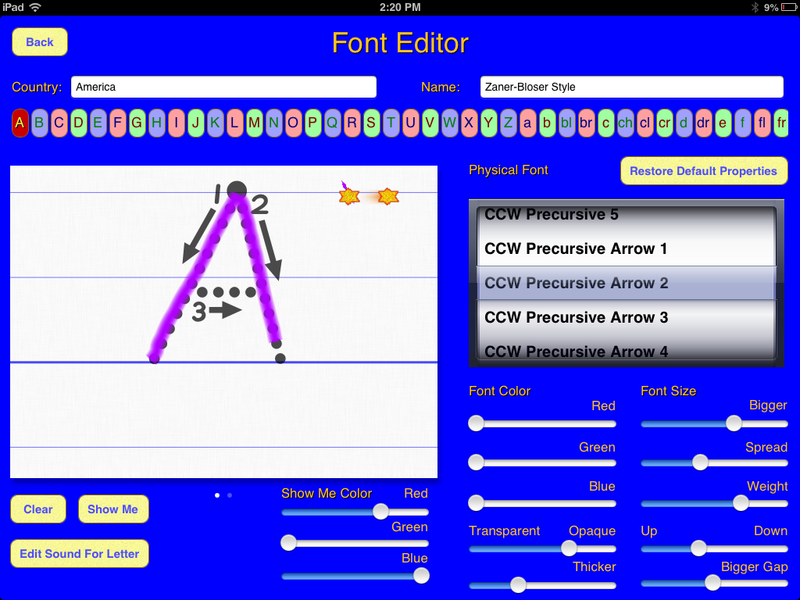 If you are not familiar with the app, the prior post “WriteForSchool App – Customizable Handwriting Instruction” has more information about this handwriting app that provides many customizing features and video instruction to the user. 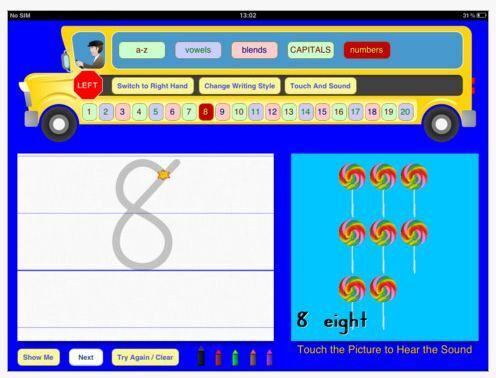 Screenshots featuring WriteForSchool app activities and tools provide a further glimpse of the app’s handwriting instruction. 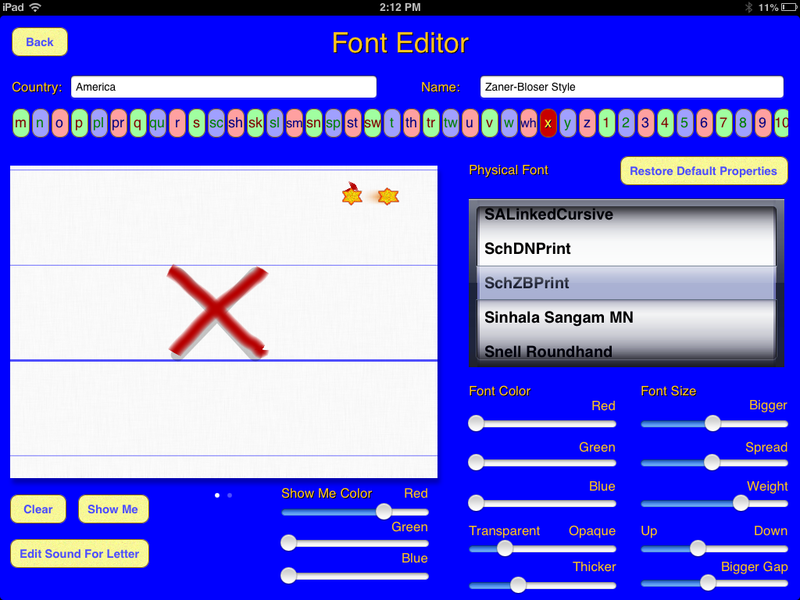 This handwriting app has many customization features and is well worth taking a look at for handwriting instruction. 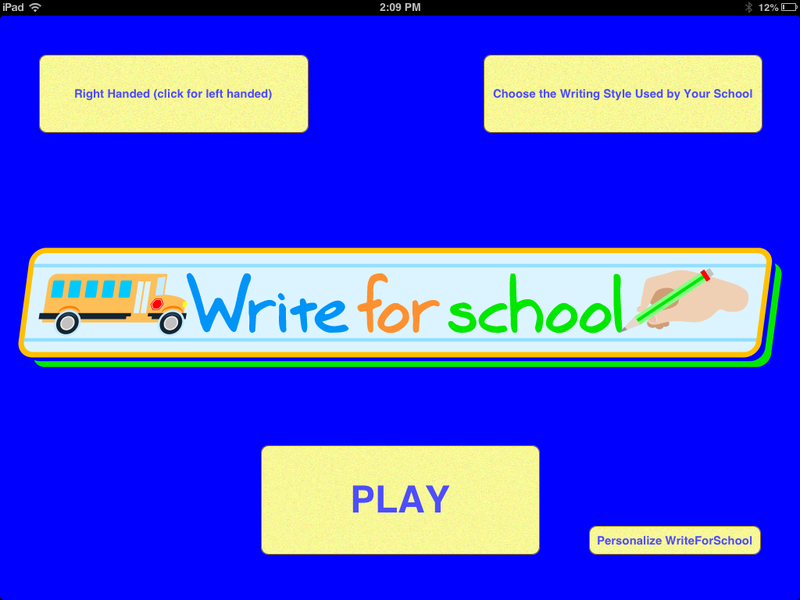 Thank you to the folks over at Write For School.com for the free app codes! 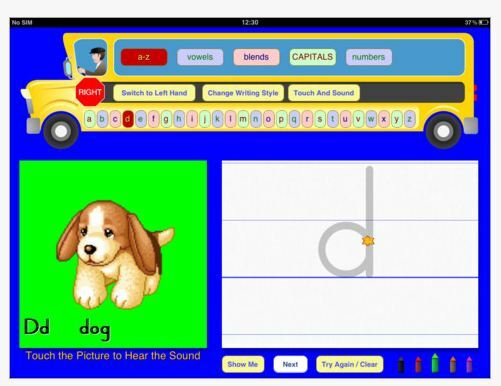 This entry was posted in App Reviews, Apps for OT's, Apps for Special Needs, AT for Handwriting, Customizable app, Handwriting, iPad, Letter Formation, Occupational Therapy, Special education, Special Needs and tagged App Review, Fine motor apps, Handwriting, iPad, occupational therapy, OT Apps. Bookmark the permalink. Thank you for posting your redeeming the codes! Thanks soo much. I used the first code. Thank you for posting your redeeming the code. It simplifies life for others! If you have a chance, I would be very interested in how you liked the app. I’ve tried and find no place for a code! Codes can be redeemed in iTunes app store. If you go onto iTunes, scroll way down to the bottom of the screen. There you will find Redeem, click on the link and then copy and paste the code into the empty text field. Your app will be down loaded. Just one of several ways to redeem. I remember my first time doing that I had to Google how to do it, of course codes were all gone by the time I figured it out!. Sad to say, even though no replies have been sent, all codes have been used already. Hopefully we’ll find this offered again sometime. I did ask the developers but they indicated they did not have another sale coming up. Your welcom Marcia, Thanks to WriteForSchool.com !